Not all email is sent from the root domain of a website, like “example.com”. In many cases, emails are sent by subdomains, like “foo.example.com”. Spammers make heavy use of subdomains like this, so you may need to block them eventually. One technique spammers use to avoid getting their emails blocked is by sending spam emails from random subdomains. One day you might receive an email from “abc.example.com” and the next it might be “xyz.example.com”. To avoid using up all of your available Blocks to block every subdomain variation, we provide “wildcard matching” to block all subdomains of a website. 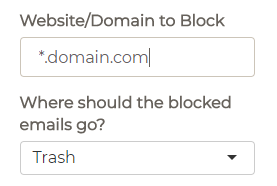 The following steps in this help article explains how to block websites by a specific subdomain, or all of their subdomains via wildcards. 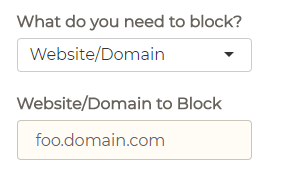 If you want to block only the specific subdomain, like “foo.domain.com”, then you should type the full URL in the field. When a specific subdomain is set, other subdomains on “domain.com” will still be able to email you. 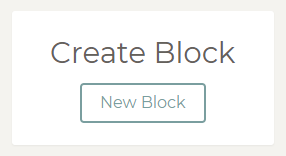 If you want to block every subdomain for a website, then you should use an asterisk (*). For example, “*.domain.com”. This will match all subdomains of domain.com. The asterisk acts as a “catch all” and matches all subdomains for the given website. Gmail is a registered trademark of Google. Block Sender is not affiliated with Google or Gmail.